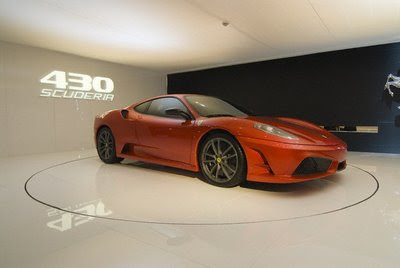 A track-tuned high-performance version of the F430, the 2008 Ferrari 430 Scuderia (Italian for stable, as in horses) has lower weight and increased power (510 hp to be exact). 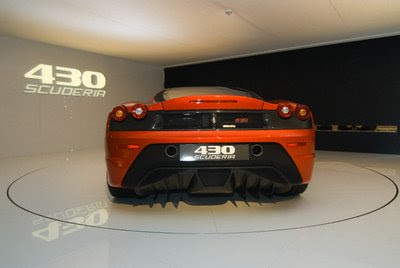 The resulting power-to-weight ratio is an incredible one horsepower to 5.4 pounds. The F1-inspired transmission brings shift times down to 60 milliseconds, while the traction and stability systems are revised as well, it was first displayed at the 62nd International Motor Show (IAA) in Germany.